I was thinking along the lines of how adversity sometimes, unexpectedly, produces a positive benefit. You know the sort of thing: if such and such hadn't have happened then something else would never have come about. 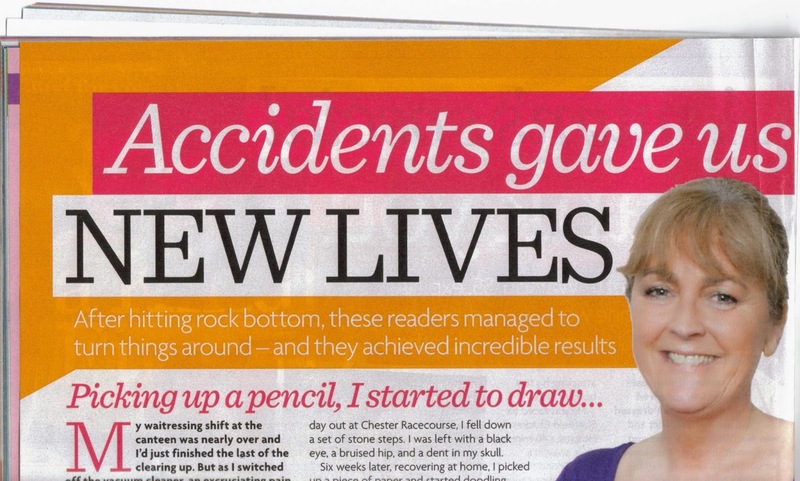 The first story I read was about Amelia Braddell from London who had an accident on a quad bike. She broke her back and initially had no sense of feeling from her belly button down. She had a long recovery and eventually, after many months, was able to make small steps on crutches. "But," she said, "My hands rubbed on the clunky metal and they were heavy and noisy. I ended up with blistered fingers, so had to keep going back to my wheelchair." Her mother suggested she should design something better. So Amelia designed a crutch that was light and quiet, with a comfortable moulded handle and cuff. Her mum got a prototype made and Ameilia than thought, "Why couldn't they be stylish and colourful?" To cut the story short Ameliea's web site Cool Crutches was born. She describes it as, "A website where people like me, who will always need the aid of a crutch to walk, can buy a set that reflects their personality, not their disability. I hope through my business I can make life just a little easier for anyone facing tough times." Another of the examples in Woman's Own was that of Pip Taylor. Pip had a brain haemorrhage and later at Chester Racecourse she fell down a set of stone steps. After recovering she picked up a piece of paper and started to draw. Pip says, "I couldn't believe it - I'd never been able to draw." Her drawings are impressive and can be seen on her Facebook page Pip's Pics. She told Woman's Own, "Where my haemorrhage forced me in on myself, that second knock opened up my world again through art. Few people get improved by a bash on the head, but I really did." These stories highlight the human spirit!